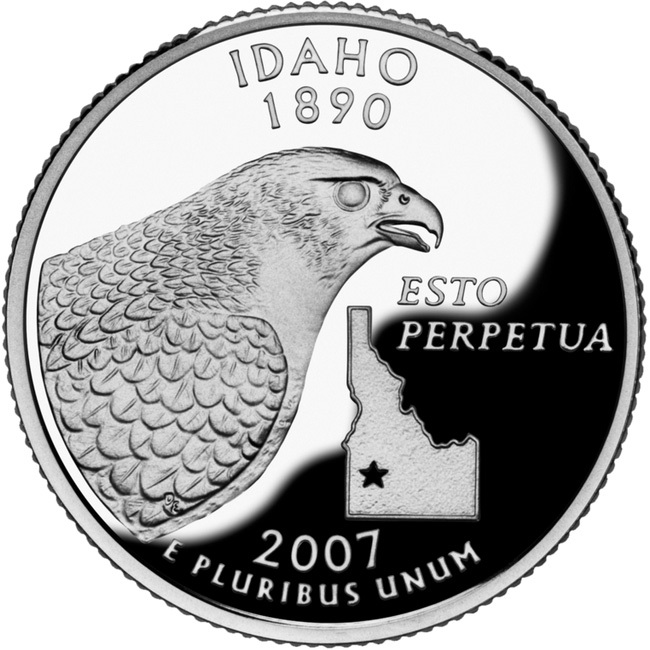 The U.S. Mint's bicentennial commemorative quarter for Idaho features a peregrine falcon (the state raptor); a map of Idaho with a star indicating the location of Boise (state capital); Idaho's state motto "Esto Perpetua" (Let it be perpetual); and the year Idaho became a state (1890). 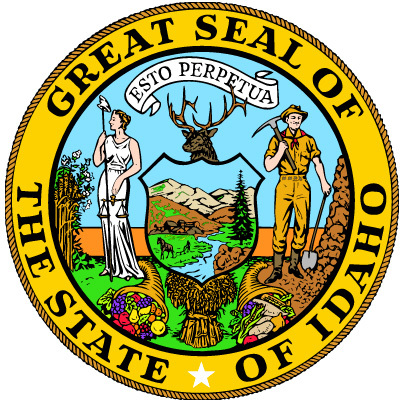 Public domain image on Wikipedia. 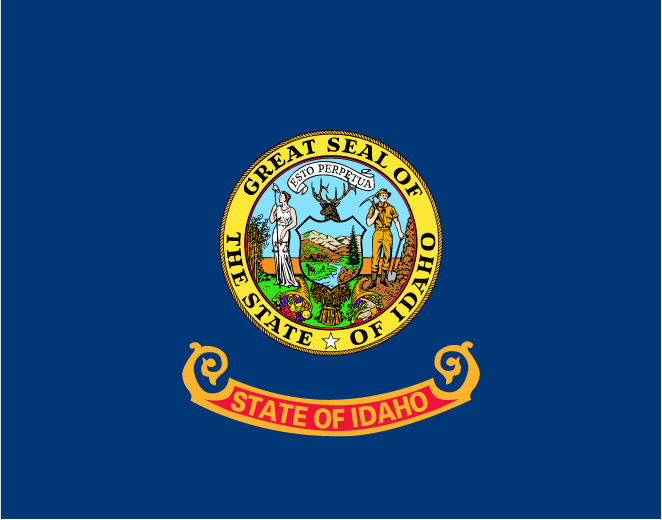 Flag of Idaho; public domain image on Wikipedia.